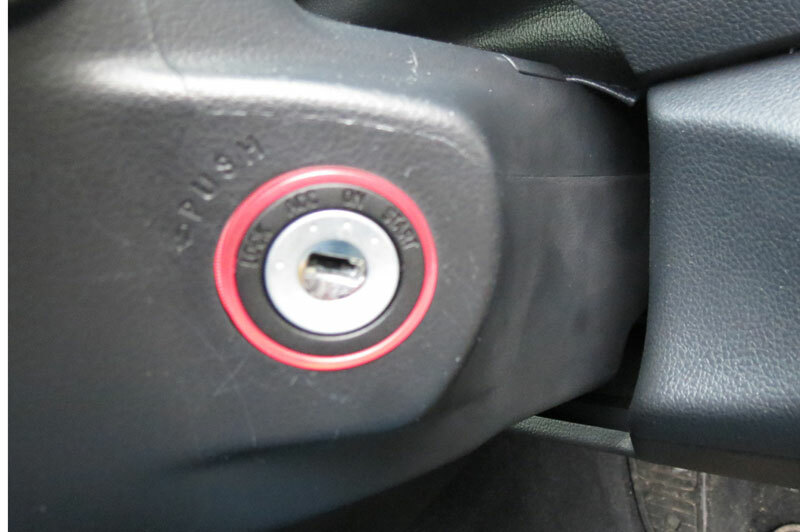 The first thing I noticed about the SUBARU OUTBACK 2.00 Diesel SE Premium was something simple, but which brought me great joy, which is that there is an illuminated red circle around the ignition, showing the driver where to insert the key; very simple, but very effective, but you would be amazed at how many luxury cars have the ignition in the hardest to reach recess, but with no light to help you find it! However, my elation at the illuminated ignition was soon cancelled out by the lack of any vehicle warning sensors although there is a reversing camera, which caused me to scrape the nearside rear wing when reversing out of a tight parking space in thick fog, because I assumed that a car of this quality would have these sensors as standard, and I would suggest that these are added to the list of standard equipment as soon as possible. 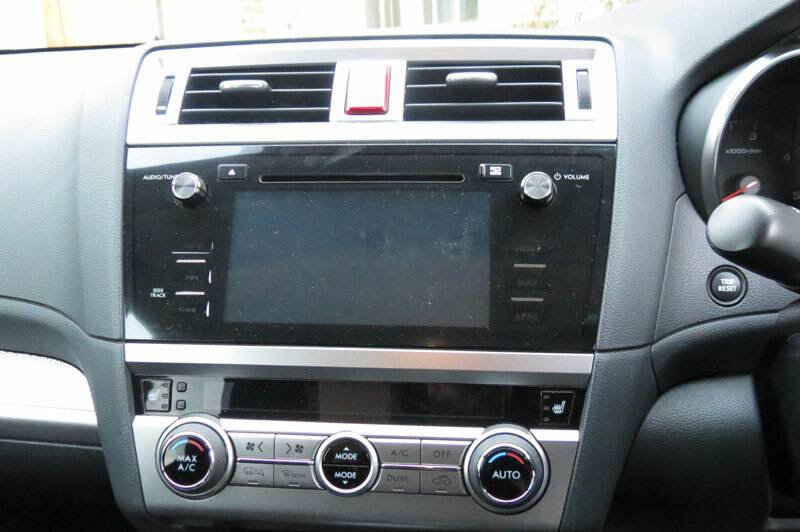 However the following features are happily standard: heated seats, 17in alloy wheels, dual-zone climate control, CD player, Bluetooth and tyre pressure monitoring. This is an impressive list, but incomplete without vehicle sensors. 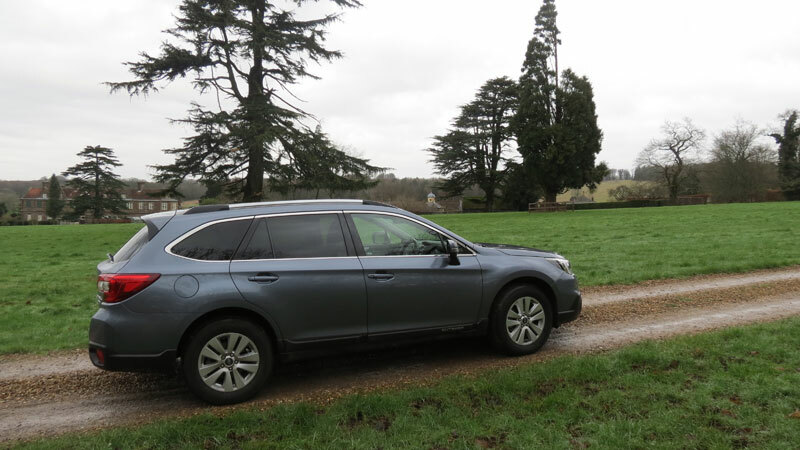 In the meantime we had arranged to take the Subaru for a test drive around the Goodwood Estate, where I was shooting that day, and the Outback behaved immaculately, both on and off road. In addition I particularly liked the ease of access, and for someone of my age (65) easy access to, and departure from the car is an important consideration! It was also incredibly comfortable to drive, and any previous criticisms about its tendency to ‘roll’ are no longer valid, because it held the road like a limpet. Subaru’s engineers have added weight to the Outback’s steering, as well as making it quicker, while its dampers and springs have been adjusted to give better body control. The result is a car that feels noticeably more capable when asked to change direction quickly. However I am not totally convinced that this hybrid can provide all that we expect of a Landrover-type, dedicated 4WD, but it gives a good imitation of a dedicated ‘off- roader’, and is very agile on the road, so it is hard to fault. It is the ‘country’ set who are loyal followers and who keep the Outback name alive in the UK maninly due to its reputation for reliability, not for sophisticated design. 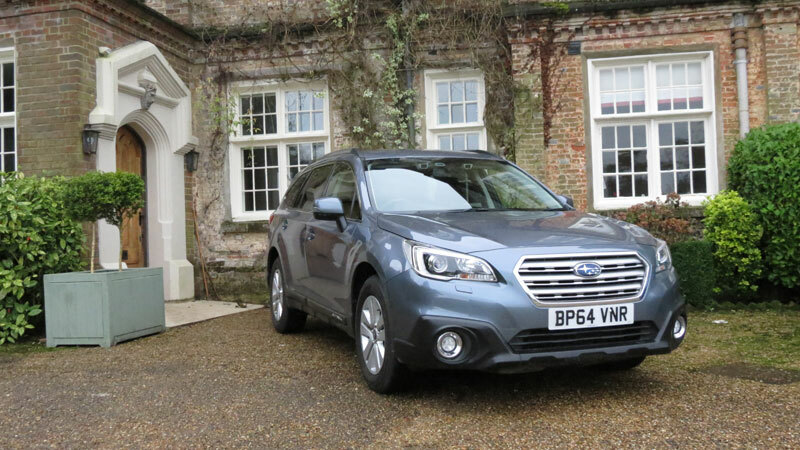 However the new Outback is more stylish and responsive, and a big improvement on the previous model, and it is nice that the new entertainment system is now included on every car, with its integrated sat-nav as a standard feature. 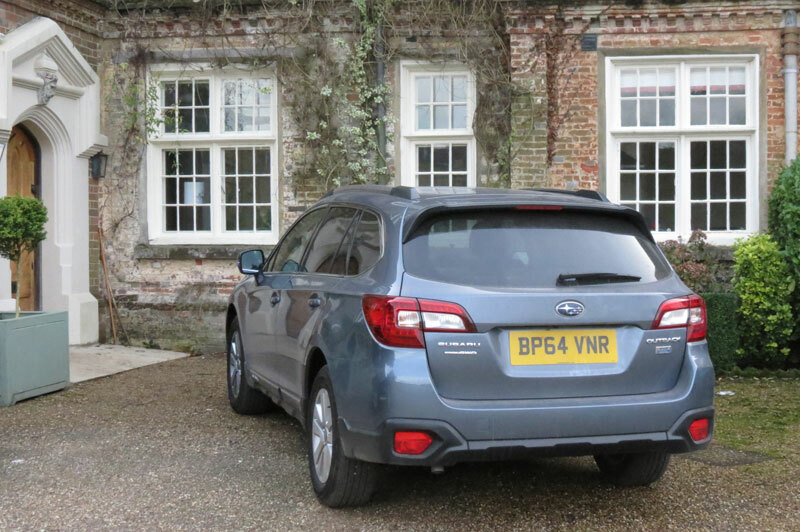 The other consideration for buying an Outback is that, with the weakness of the Japanese Yen, the Outback is now more competitively priced against rival off-road estates such as Skoda’s superb estate and the Octavia Scout both of which are within reach but we think the Outback is a superior car. The Outback’s boot is bigger, now 559 litres, and aside from some slight wheel arch intrusion, its flush lip and wide opening make it one of the more practical examples on the market and the rear seats can be split 60/40 and lie almost flat, too which again aids using the boot area for practical purposes. 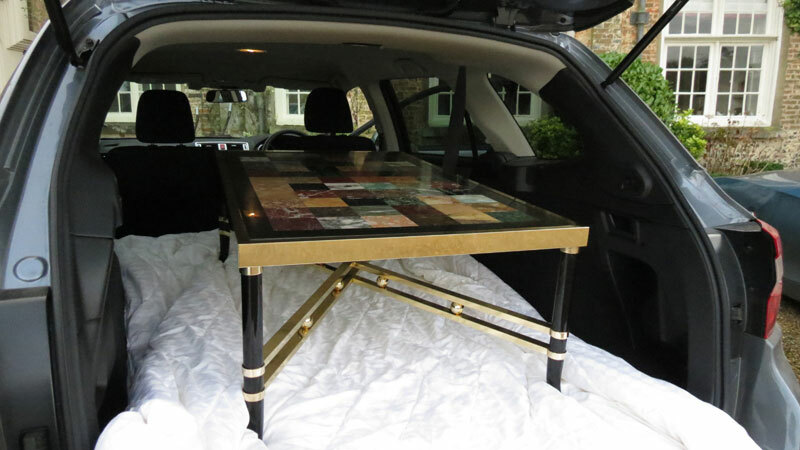 Whilst road testing the Outback, we used it to collect a very heavy marble table, which it did with ease and still drove well in spite of the added weight. So overall this is a very reliable, stylish estate and, in my opinion, all they need to do now is make space sensors standard, then this would become a car which I could happily live with, and enjoy. Two models are offered, namely a 2.0-litre turbocharged diesel engine with 148bhp and 258lb ft of torque, and a normally aspirated 2.5-litre four cylinder petrol developing 172bhp and 173lb ft.
Subaru Outback 2.0D SE diesel which we road tested costs £27,995 which is a lot of car for that money. Its top speed is 124 mph and it takes 9.7 seconds to reach a speed of 60 mph and when driven sensibly should do 50.4 mpg. Robert Jarman has spent a lifetime observing and commenting on the habits and habitats of that endangered species, the British Aristocracy, including their houses, art collections, sports and pastimes. He was a part-owner and Managing Director of Debrett’s Peerage and Baronetage, which he acquired and rescued from near extinction in 1976, and built into an international publishing company. He published the catalogues for a number of major Exhibitions at the V&A and the Royal Academy in the UK, the Cooper Hewitt and MOMA in New York, and the Smithsonian Institute in Washington. He also conceived and created an important contemporary reference book called, ‘People of Today’, first published in 1981which is the ultimate study of the UK’s most successful and influential people. He is therefore well-qualified to publish and edit The Vintage Magazine, an on-line publication aimed at, but not limited to, the affluent and active, over 50s who number over 23 million in the UK, and control 80% of the wealth of the country.